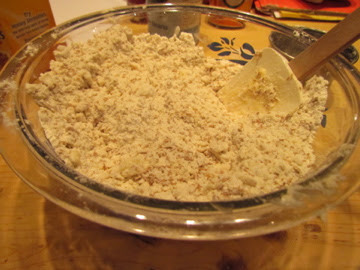 Cut in margarine until mixture resembles coarse crumbs. Add milk and stir until just moistened. 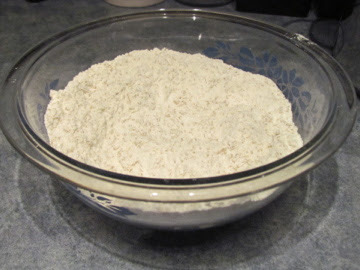 Mix cinnamon and remaining sugar in bowl. 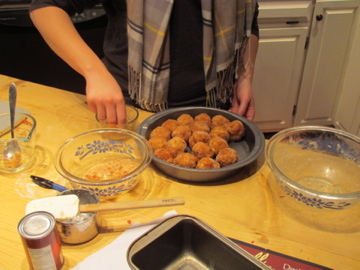 Drop balls in melted butter and roll in sugar mixture. 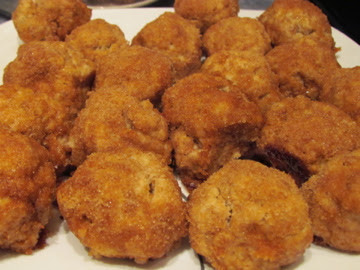 Place balls in greased 8 or 9 inch round pan. 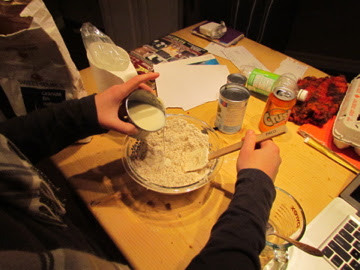 Bake for 15 - 18 minutes, or until a toothpick comes out clean. Cool before eating and then ENJOY! 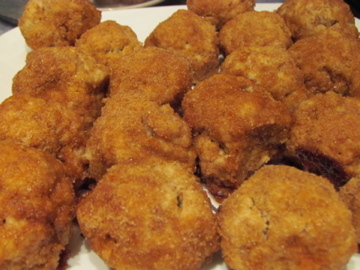 This pin attempt was a success even with the substitution of ingredients. I would love to try it with crisp rice cereal next time to see if we were missing out on anything. But, when you're in need of a sugar fix - this definitely did the trick!